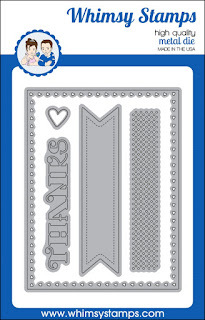 Welcome to day one of the Whimsy Stamps July Clear Release! We are doing things a bit differently this month, all the fun is taking place on this Facebook event. Head over there for sneak peeks, games and giveaways! 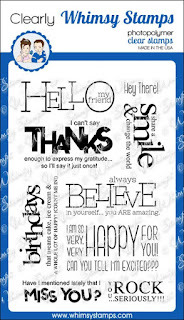 Today we are showing Bold Statements, Many Thanks stamps, Many Thanks dies, and Slip'n'Slide dies. 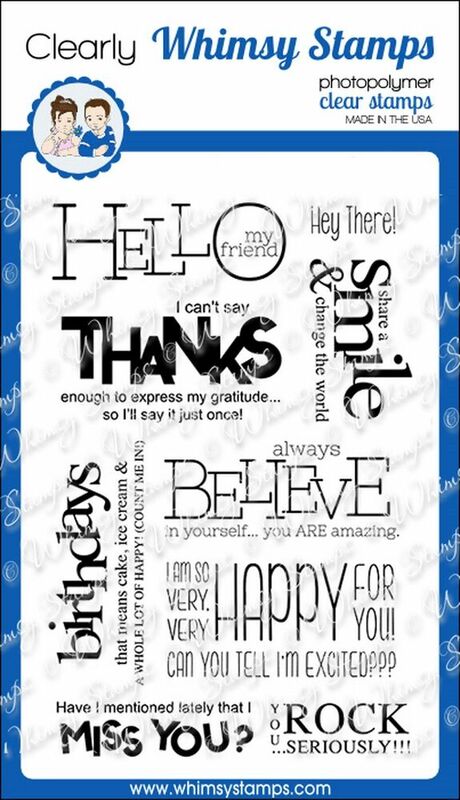 This card uses Many Thanks stamp set and Many Thanks cardbuilder die set. 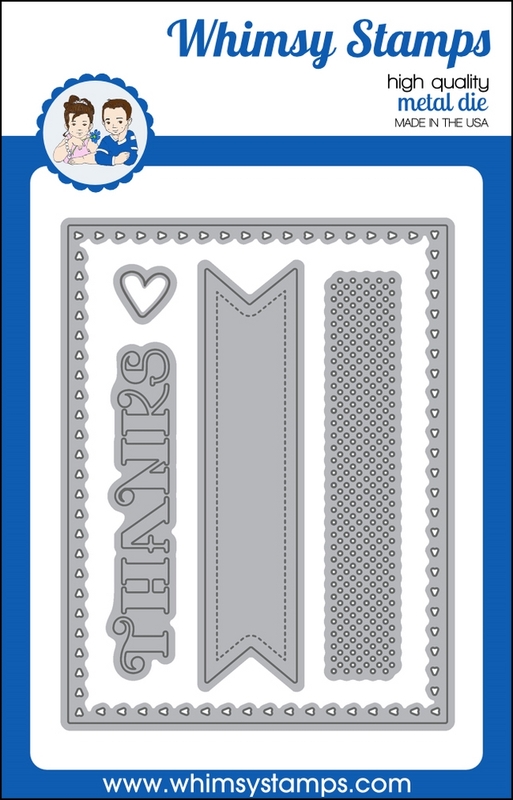 I cut two pieces of patterned paper and layered them together, then die cut the thanks out of the ribbon banner from the cardbuilder set. I added a finishing sentiment (from Many Thanks) and some gold cording. 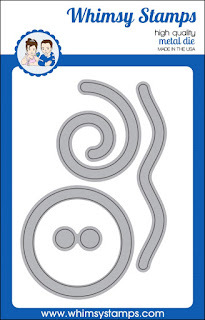 My second card features Bold Statements stamps and Slip'n'Slide dies. 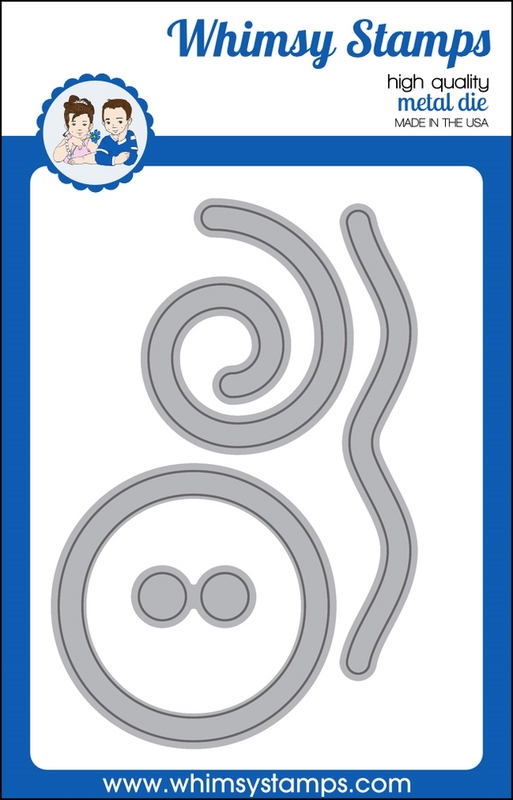 Now with the Slip'n'Slide dies, you are supposed to use the negative space to create a slider card, but I chose to use the positive piece. I cut a bunch of them from four summery colors and layered them up on a white piece. I stamped the Hello on white and aqua, then cut out the inside of the "o" from the aqua piece and put it inside the white "o". I added some sequins and popped up the whole layer on a white base.